← Huevos Benedictus is back! TROY, N.Y. — Carmen’s Cafe will host its annual holiday potluck dinner this Tuesday, Dec. 24, from 5 p.m. to 10 p.m. The event is free and open to all. They ask you to bring a friend and a dish or beverage to share. In addition to the dishes brought by guests, Carmen’s kitchen will put out a spread of rice and beans, with picadillo (ground beef, sauteed with tomato and herb broth with olives, capers and raisins), plantains, salad and flan. Sangria, coffees and tea will also be served. The evening will feature a musical performance by flamenco guitarist Garth Green, of Troy. 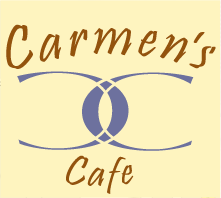 Carmen’s Cafe is located at 198 First Street, on the corner of First and Adams streets. The annual gathering has grown over the years from a small group to more than 60 people last Christmas Eve. This year, Gonzalez expects about 100 people will come during the evening. Carmen, a native of Manhattan, opened the Cuban-American cafe on the border of South Troy in 2004. The daughter of a Puerto Rican mother and Cuban father, Carmen’s menu is inspired by family recipes. While Carmen’s Cafe is normally closed for the winter, this year, by popular demand, the restaurant will be open for limited winter hours. From Dec. 28 to Feb. 2, Carmen’s will be open Saturdays and Sundays, from 9 a.m. to 4 p.m. with the exception of the Jan. 4 and 5 weekend. Starting in February, Carmen’s will be open for five days instead of three, with a lunch menu of soups, salads and sandwiches served on Wednesdays, Thursdays and Fridays in addition to the full menu offered weekends. New hours will be: Wednesday and Thursday, 11 a.m. to 6 p.m.; Friday 11 a.m. to 10 p.m.; Saturday and Sunday 9 a.m. to 4 p.m.
Also starting this February, Carmen’s will provide local delivery. This entry was posted in Live Music, News, Special Events and tagged Carmen's Holiday Potluck, flamenco, Garth Green, Guitar, Holiday Schedule. Bookmark the permalink.